Commencing with a school performance of A Midsummer Night’s Dream, the Shakespearean themes of suffering and reconciliation persist as three families on separate holidays are united during a fierce storm. Immigrants Harry and Vic love their adopted country but are faced with their son Tom’s terminal illness. Jim and Gwen fret over their daughter Meg’s blossoming independence and her friendship with the socially unsuitable Tom. Roy is unable to console a grief-stricken Coral over the death of their only son in Vietnam. But with the help of some Shakespearean fairies and a spectacular storm, these families are reconciled and face the future anew. For two decades audiences have been enthralled by this story about the coming of age of both a group of individuals and the country in which they live. Despite being set almost 40 years ago, this multi-award winning play is as relevant as ever with its themes of reconciliation and loss. 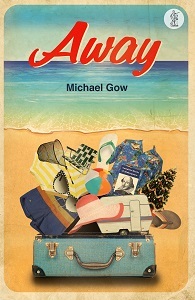 Away is sharply observed, clever, funny and yet very moving. Out of the familiar family ingredients, Gow has constructed a magical play that every Australian can relate to. It depicts the hopes of a new generation, prompting us to consider what is ultimately most important in our lives. Michael Gow has extensive writing credits for stage, screen and radio. His best known play is the multi-award-winning Away, a modern classic of Australian Theatre and one of the most performed Australian plays. Others include Toy Symphony, The Kid, On Top of the World, Europe, 1841, The Fortunes of Richard Mahony, Furious, Sweet Phoebe and Live Acts on Stage. For television he has written the mini-series Eden’s Lost, directed by Neil Armfield, and Art’n’Life. He also adapted his play Europe for radio and wrote The Astronaut’s Wife for ABC Radio. His awards include two NSW Premier’s Literary Awards (for Away and Sweet Phoebe); two Sydney Theatre Critics Circle Awards (Away and Furious); the Australian Writers’ Guild Major Award for Writing and for Best Play (Away); a Green Room Award (Away); and an AFI Award for Best Mini-Series (Eden’s Lost). He is also a noted director, and was Artistic Director of Queensland Theatre Company for many years.